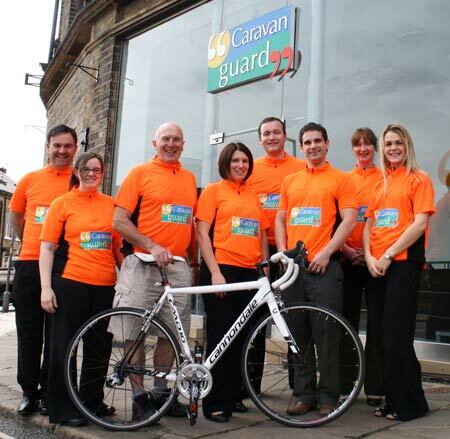 A thirteen strong team from Caravan Guard are hoping to raise £7000 in charity donations in the Great Yorkshire Bike Ride on June 16th. The challenging 70 mile route stretches from Wetherby near Leeds in West Yorkshire, to Filey on the North Yorkshire coast. It is the 29th year that this event has taken place and over £2m has been raised for charity. It is being undertaken by both cycling enthusiasts and brave novices from the company. To sponsor Caravan Guard’s Team simply visit their Virgin Money Giving page here www.virginmoneygiving.com/caravanguardGYBR2012 and donate any amount large or small, quickly, easily and securely. Caravan Guard have a history of fundraising and donate regularly to Heart Research UK, giving £1 for every paperless (online) insurance policy to the charity, alongside various other fundraising initiatives.